2019 Efroymson Emerging Artist David Opdyke and writer Lawrence Weschler discuss Opdyke's current exhibition, Paved with Good Intentions, and the relationship between culture, politics, the environment and art in a contemporary landscape fraught with disorder and turmoil. 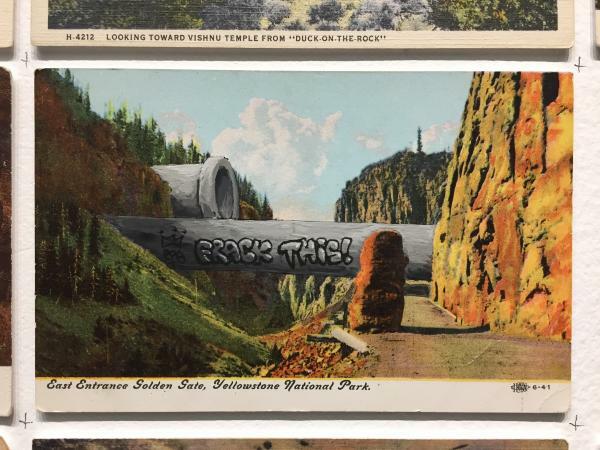 WIN ONE OF DAVID OPDYKE'S MICHIGAN POSTCARDS! Come to the event and you'll automatically be entered to win one of 10 vintage Michigan postcards painted on/modified by David Opdyke. Must be present to win.